Snow-gravel area cannot be built on. The two center hills cannot be built on. theres no way for protoss to forge fast expand, and thus this map already is impossible. for them. no way to stop vulture harass into the natural as well. The idea is there and I can see this map working with a lot of slow edits. First off you need to make the natural one choke, not the massive area you have it in. 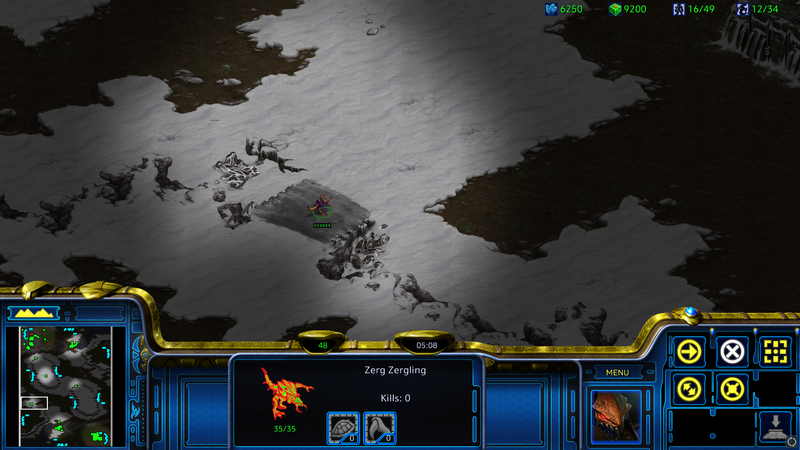 then you need to find a 3rd base that is more defensible for ZvT. Okay, what if I did this and allowed toss to wall? How do you flank Terran mech on this map? How do you Forge Fast Expand vs. Zerg on this map? EDIT: Oops, missed the earlier responses. Fixing that ramp is a good first step but if the Hydras are on the high ground shooting down the Cannons, it could still be too much. Or Lurker contain on that high ground. That's a harsh change. I think generally you have to pick your poison and choose to narrow one of the ramps. There has to be one way to secure your natural for protoss. What about neutral buildings/minerals walling off the 9' and 3' ramps to make the 3rds more defensible? This would also make it harder to hold the ramp above the enemy natural. Cut the ramp off entirely, narrowed the natural choke, and 3rd only has 1 ramp leading to it for ease of defense. Interesting map, very agressive layout. But how do you fight terran maxed out army as a protoss, where do you want to engage? Seems rough. But that's just theorycrafting, perhaps it could work out just fine. Overall this layout is very basic but has a ton of obvious issues, like the naturals being wise open at two sides and half of the expansions being cliffable from those centre high grounds. The two center hills cannot be built on. What did you use to make them unbuildable? Tiles from the new ramps? Or some doodad tiles? If its the second you ran head on into massive cover issues. Have you manually post-edited the edges of the new ramps? Otherwise you have some terrain level/vision issues. half of the expansions being cliffable from those centre high grounds. That's intentional. The whole point of the map is to secure the center high grounds if you want more than 3 bases. I made the no-building terrain by copy and pasting unbuildable tiles. Intentional or not, it's not going to make for good gameplay. Map control is just not equally distributed in all matchups. -> Mark the cliff vision at the edges of the ramp! Where are those tiles taken from in the palette? EDIT: What this thread most of all seems to lack is : A download-link! Okay, I will change the 4th and 5th locations. What do you mean "mark the cliff vision at the edges of the ramp"? I took a unbuildable tile at the edge of the cliff palette and c/p'd. I don't know what's the standard protocol for distributing map files here, and shouldn't I fix all these things before distributing the map file anyway? Units on the low ground can see things up the cliff at the edges of the ramp due to faultily set terrain level flags on the unwalkable part. There are layers and overlays to show you all of this in ScmDraft, by the way. No need to even open the map in-game to identify those bugs. You cold upload it on broodwarmaps.net or just go with the file hosting site of your choice. Having a map file to open in ScmDraft makes it easier to identify problems and explain issues. Here is the updated version. 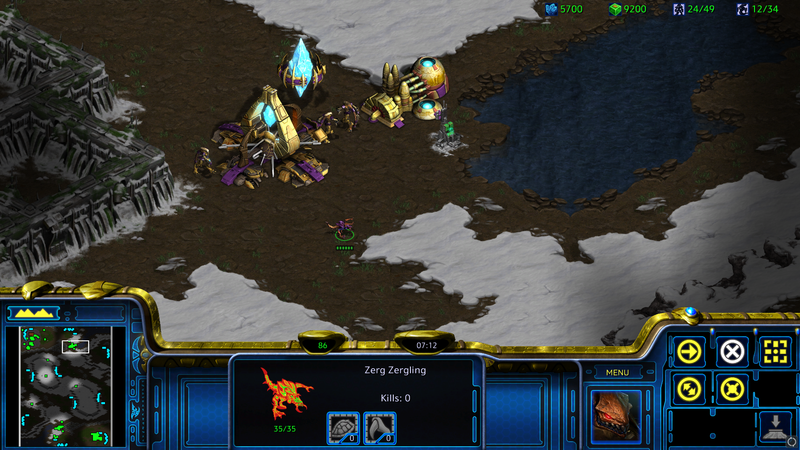 I fixed the new ramp's low ground vision ssue, changed the location of the 4th and 5th bases, added neutral eggs to help with the protoss wall-in against lings, and extended the wall between main and natural to help with zerg wall-in against vultures. Good job on fixing the ramp vision. You need to have a look at the forwards facing ones too though. The high ground is okay. But keep it in mind as a good habit to check tile flags regularly, particularly terrain levels ("height"), cover ("provides cover") and vision ("LOS obscuring"). Eventually you'll also have to address mining bugs and other pathfinding related issues. However, first you should focus on getting concept an layout better. Space distribution is not good. For example the 3rds at 2/8 o'clock and the dead air spaces behind them take up way too much space. The nats are also huge. Distances are also off. 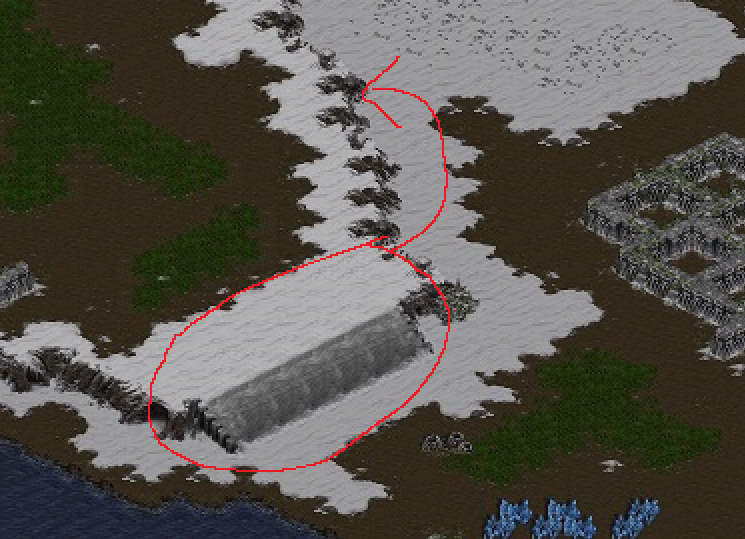 The third is very far away by open ground, The nats are too far from the starting locations, making it hard for Terran to cover everything with Turrets. Overall this map is too open and linear for a 2 player map. Think about creating more distinct pathways for armies to move around the map.